Bob Malm Wins Sugarland PowerBall Lottery! 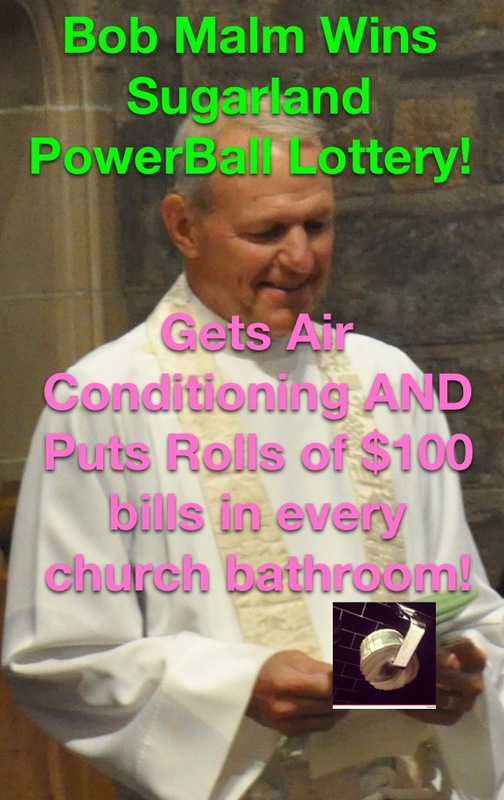 Re: Bob Malm Wins Sugarland PowerBall Lottery! Please don’t clog the toilets. No more 10 $100 bills at a time, please.